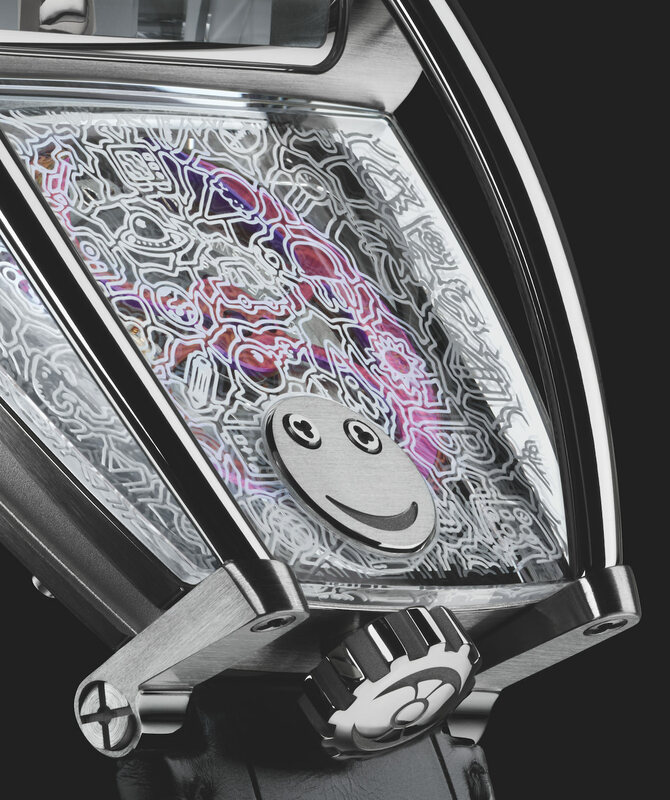 To help these sick angels who suffers from a degenerative muscular disease, MB&F has associated with a young artist to create a single piece that appears to be both childish and terribly creative. Then, Cassandra Legendre who is a young artist from Madrid, Spain and who is only 15 has put all her imagination in this HM8 “Only Watch“. 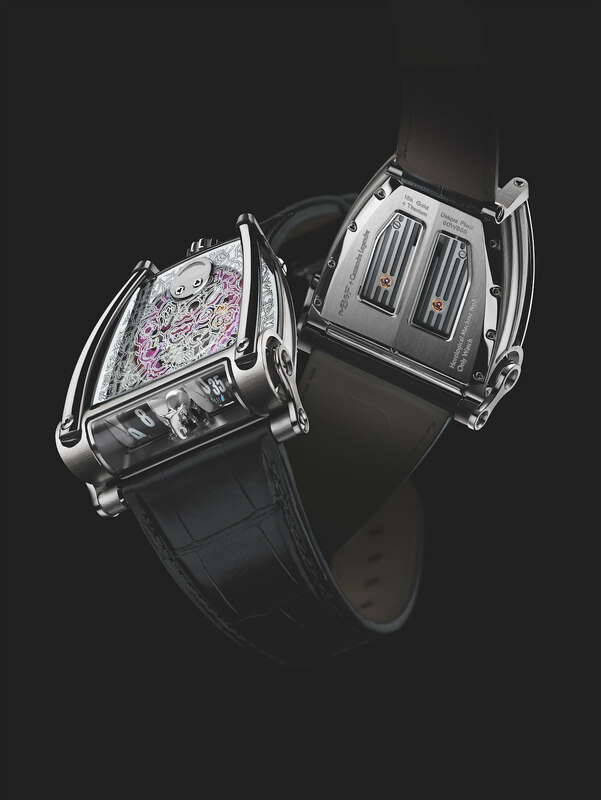 At the beginning, HM8 “Only Watch“ is a Horological Machine N°8 from MB&F. Originally created as a tribute to the famous Can-Am American race, it now pays homage to imagination and childhood. On the sapphire glass you can now discover Cassandra’s work of art: an engraved and metallic drawing realised…during a boring Maths course! The artist had a real pleasure realising this drawing for other children. 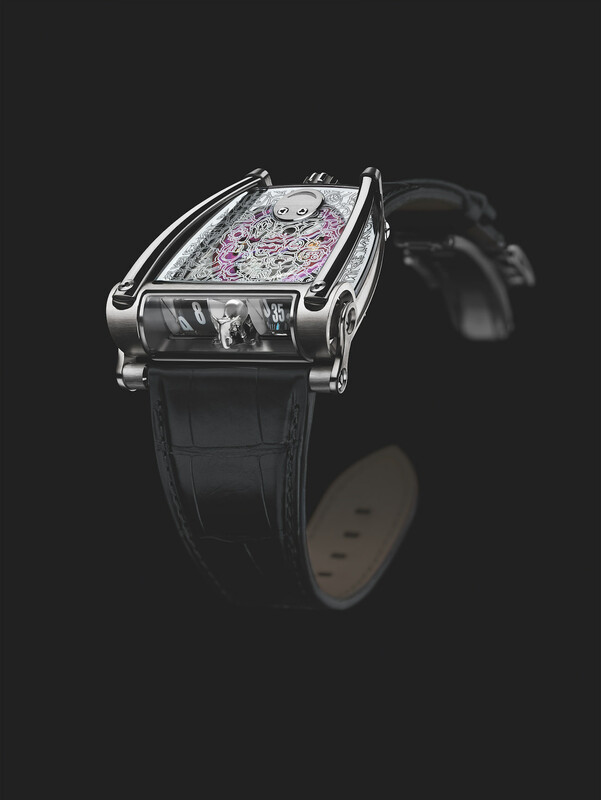 And this piece will surely help HM8 “Only Watch“ to reach impressive auctions. But what precisely represents this endlessly drawing? Then everything our little angels can imagine in their innocent minds: a robot, a plane, a jellyfish, an ice cream, a soccer ball, sunglasses, a video game controller…everything a child could desire and probably what we’ve all forget now we’re adults. But the most remarkable element on HM8 “Only Watch“ is probably the elephant…this majestic animal is always represented in our children’s books. Who has never read Dumbo or the Jungle Book? Both powerful and impressive, this animal is not invincible and it is probably its exposed strength that the artist was drawn to as a reference to sick children. This elephant is located under HM8 “Only Watch“ ‘s security hoop and has necessitated 120 hours of work himself. 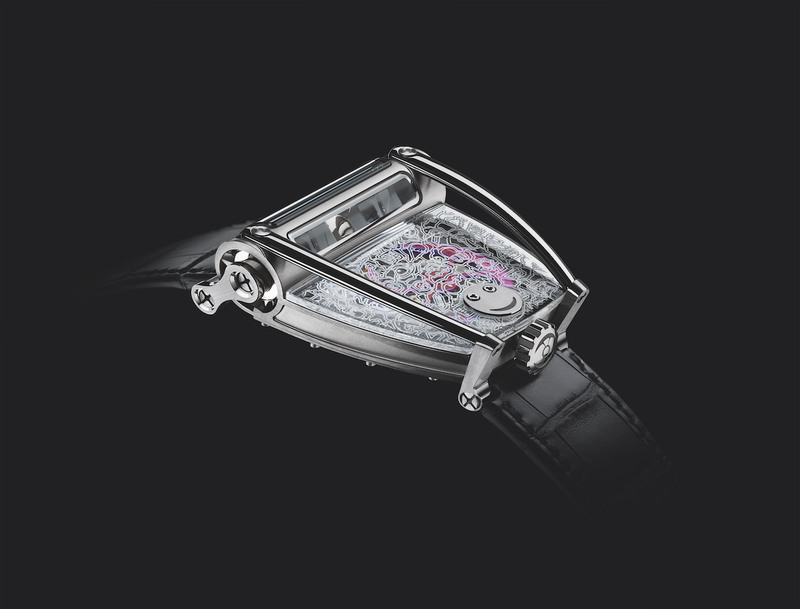 Indeed, it is created in three dimensions thanks to optic prisms and looks like a micro-sculpture. 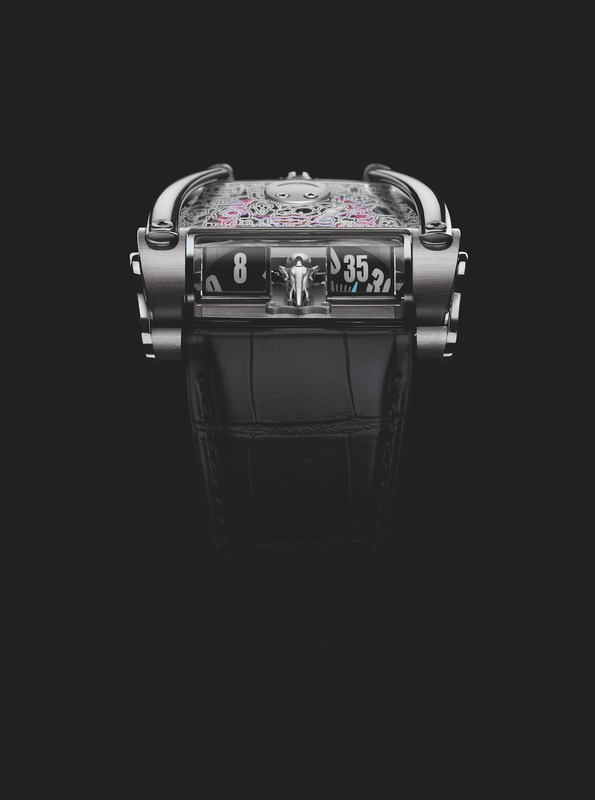 Then it makes HM8 “Only Watch“ an even more remarkable and rare watch. Realised in white gold, this elephant is one of HM8 “Only Watch“’s master pieces thanks to its unparalleled attention to details, and more precisely with its tusks. However, this one has to share top billing with another childish figure: a smiley that screws have replaced eyes. 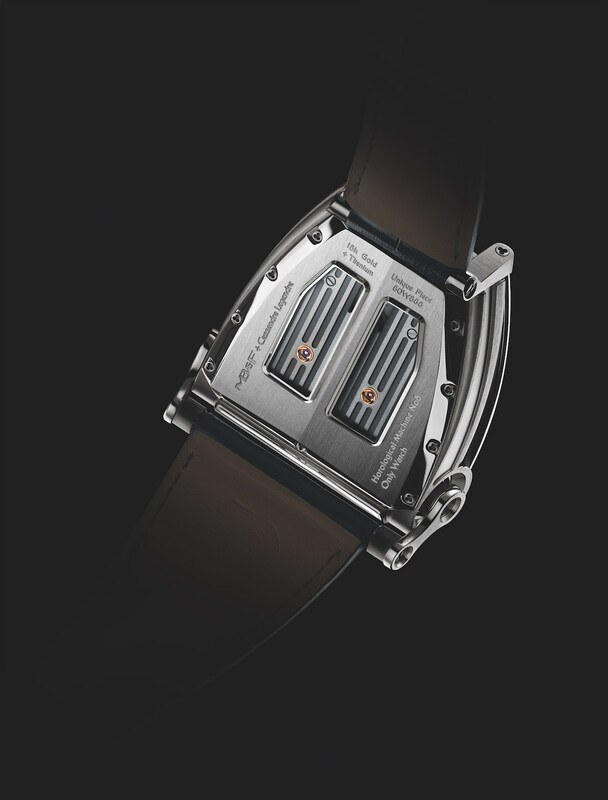 This one is in fact a white-gold disc affixed where MB&F logo is usually represented. It symbolizes joy, innocence, and childhood and will surely help the future owner to fix the watch’s price, and we sincerely hope that it will reach a record price to help children on next 11 November 2017! Share the post "Become a child again thanks to HM8 “Only Watch“ and help sick children by the same occasion"